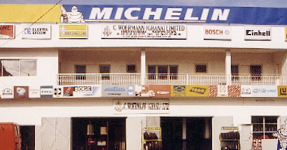 C. Woermann Ghana: Reliable technical equipment and services for Ghanaian businesses. Since 1954. C. Woermann (Ghana) Ltd. is proud to look back onto a long and successful history. In 1954 our trading company was re-established. We are focusing on distributing products of high quality to the Ghanaian market ever since. C. Woermann (Ghana) Ltd. focuses on the distribution and after sales service of technical equipment. We were founded in 1954, three years before Ghana’s independence, while our head office in Germany was established in 1837. Michelin Energy XM2 tyres, last longer with maximum robustness. Michelin Energy XM2 tyres, last longer with maximum robustness. Robustness The increased robustness of the new Michelin Energy XM2 tyre reduces the risk of damage which could lead to a “blowout”. Longevity The increased robustness, combined with the special tread rubber formulation, has a double impact on increasing tyre life. 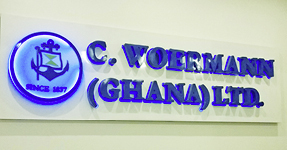 Re-established in 1954, C. Woermann (Ghana) Ltd. provides Ghanaian businesses and dealerships with high quality technical equipment by well-known German, European and international manufacturers. C.Woermann GmbH & Co. KG was founded in Hamburg , Germany in 1837 and also has associated companies in Nigeria and Angola.